In recognition of their application of bioengineering principles to fundamental improvements in human health. 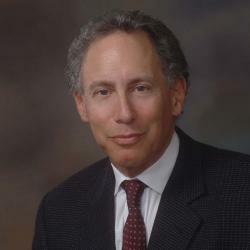 Robert S. Langer Jr., ScD is the David H. Koch Institute Professor at the Massachusetts Institute of Technology. He is also a faculty member of the Harvard-MIT Division of Health Sciences and Technology and the David H. Koch Institute for Integrative Cancer Research. He re¬ceived his Bachelor’s degree from Cornell University in 1970 and his ScD from the Massachusetts Institute of Technology in 1974, both in Chemical Engineering. From 1974–1977 he worked as a postdoctoral fellow for cancer researcher Judah Folkman at the Children’s Hospital Boston and at Harvard Medical School. Langer holds more than 800 granted or pending patents. He has also authored more than 1,130 scientific papers and has participated in the founding of multiple technology companies. He has received numerous awards, including the National Medal of Science, the 10th Annual Heinz Award in the category of Technology, the Economy and Employment, the Charles Stark Draper Prize, the Lemelson-MIT Prize, the Albany Medical Center Prize in Medicine and Biomedical Research, the Millennium Technology Prize in 2008, and the American Chemical Society Priestley Medal in 2012. At 43, Langer is the youngest person in history to be elected to all three American science academies: the National Academy of Sciences, the National Academy of Engineering, and the Institute of Medicine. Langer’s work is at the interface of biotechnology and materials science. Langer and the researchers in his lab focus on the study and development of polymers to deliver drugs––particularly genetically engineered proteins, DNA, and RNAi––continuously at controlled rates for prolonged periods of time.